History buffs short on time don't want to miss this 1.5-hour walking tour of Savannah's historical sights. With a guide, you'll visit the city's squares and other landmarks, listening to narration about Savannah from 1513 to the present day. 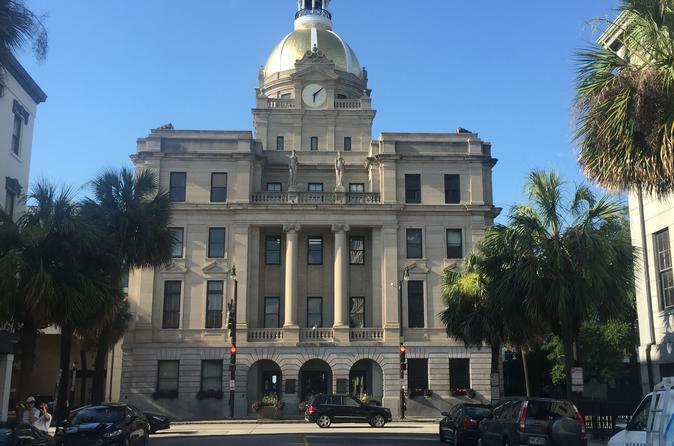 Meet your guide in front of Savannah's City Hall, recognizable by its gold dome, to begin your walking tour. As you stroll through town, listen to stories about the area's early history, starting with Spanish missionaries. Hear why they left, and learn about James Oglethorpe, an Englishman who founded Savannah and the colony of Georgia in 1733. Your guide also covers what made Savannah one of the East Coast's best seaports, stories about Georgia during the American Revolutionary War, and Savannah in current times.